Flash is a couple of decades old technology and it will be retried in February 2016. Adobe will remove its direct download link from the website. Flash content has already been blocked in the top browsers because of its potential security vulnerabilities and disadvantages. Adobe may be retiring one of its top products but it has no plans to remove the flash professional software. According to the company, AFP has been rewritten to support the latest web technologies like WEBGL and HTML5. This tool might be released immediately after Adobe bids Adieu to flash. It will be launched as Adobe Animate CC. The company claims that AFP has generated several thousand lines of HTML 5 code that is being actively used in around billion devices. The latest standard of HTML is no doubt the future of web technologies and it is being rapidly adopted by millions of websites. 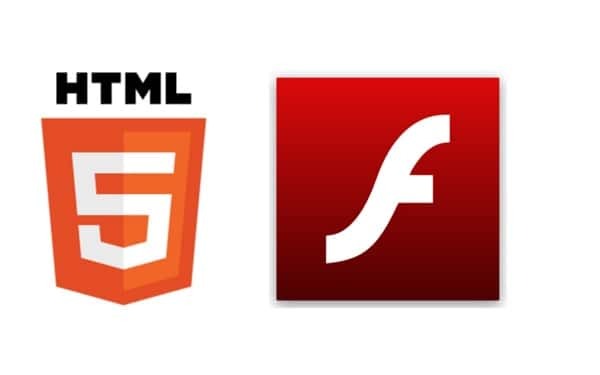 As browsers are not supporting flash anymore, it is a wise decision to create HTML5 content for embedding in websites. The animate CC is the best tool to accomplish this task. Animate CC boast an array of new features. It will allow users to create flash content. It also includes the support for the native AIR formats. This software is capable of generating high-quality animations in one of the most widely used SVG formats. Animate CC features a tool to create custom brushes and vector art. It includes the first of its kind rotatable 360 degrees canvas. You will be able to generate 4K high-resolution videos with this software. The user is allowed to install the third-party extension for cross-platform support. If you use other Adobe products and want to import your work from Animate CC to it, simply save your project in .OAM file format. This extension is well supported by the web designing software Dreamweaver and other applications developed at Adobe INC.
Adobe will be introducing ACC in January 2015. Users will be able to install it via Create Cloud application. The earlier versions of the flash profession will be still available.